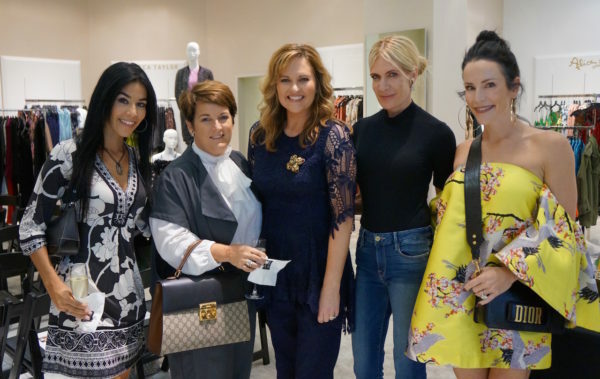 We had a fabulous time celebrating fall with friends and clients and officially kicking off the season by hosting “Sip, Shop & Style” with Saks Fifth Avenue at Biltmore Fashion Park! 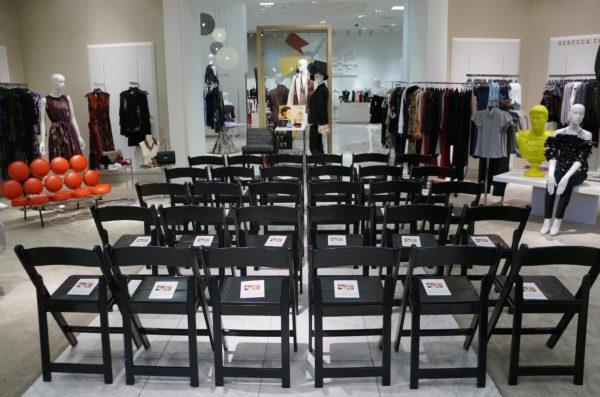 A huge thanks to all of our utterly-chic guests for joining us!! 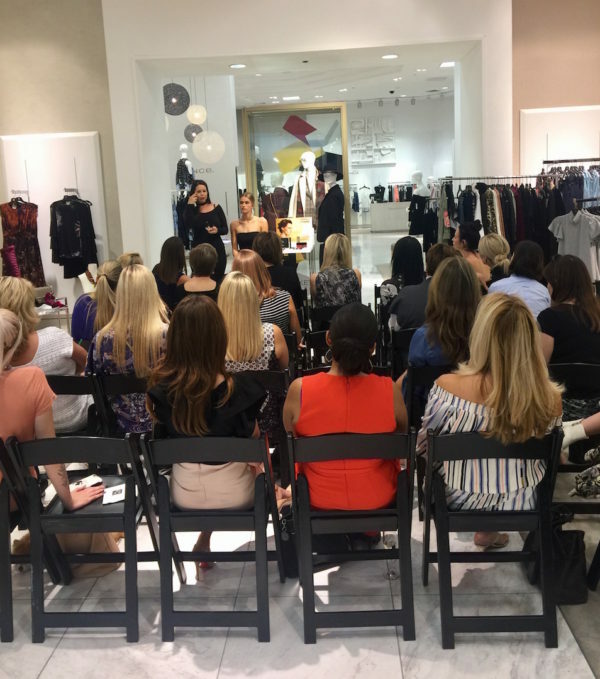 Read on for event highlights and a look at the fall trends that Angela pulled together for her presentation. 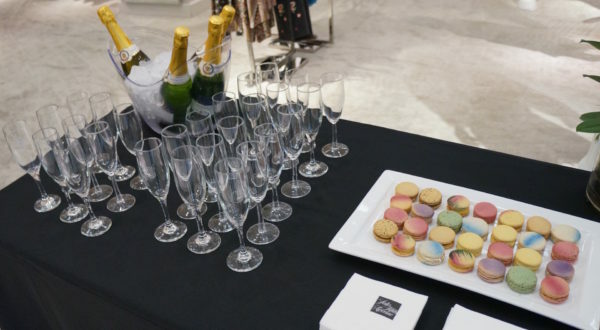 Guests sip champagne, mingle and shop at Saks Fifth Avenue Phoenix. 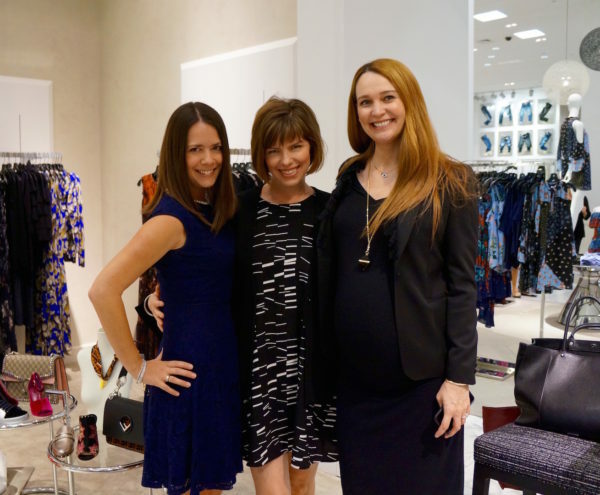 Brigitte Berry, Sheree Hartwell & Angela Zdrale. Joy Caldwell, Jennifer Chase, Angela Keller, Lauri Termansen & Katie Sellers. 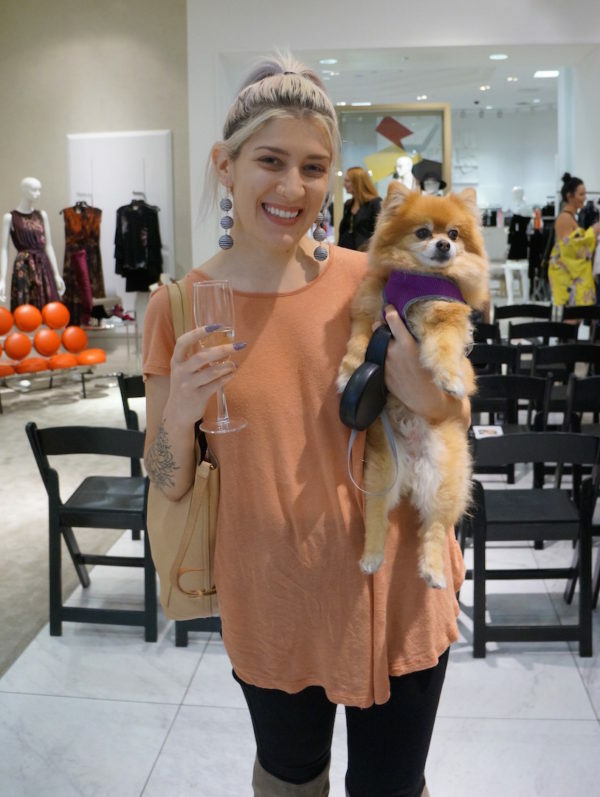 Grace Mattei & her darling pup. 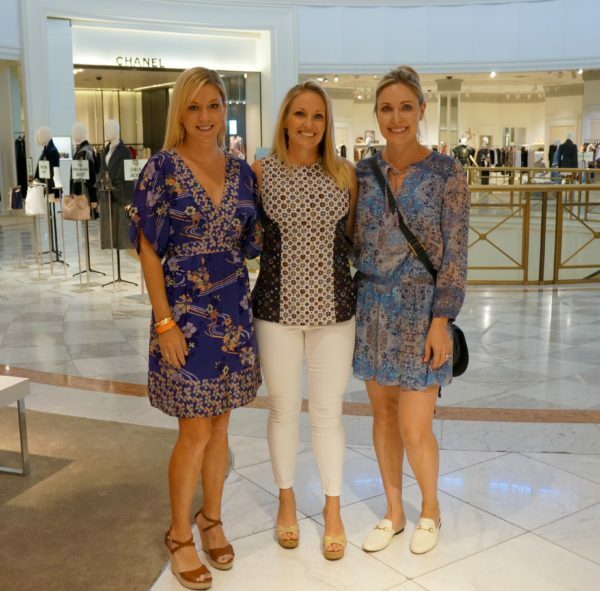 Kim Pangle-Smith, Michelle Batschelet & Nicole Cundiff. Angela showed how the trends translate into Daytime Casual, Daytime Dressy and Date Night looks. 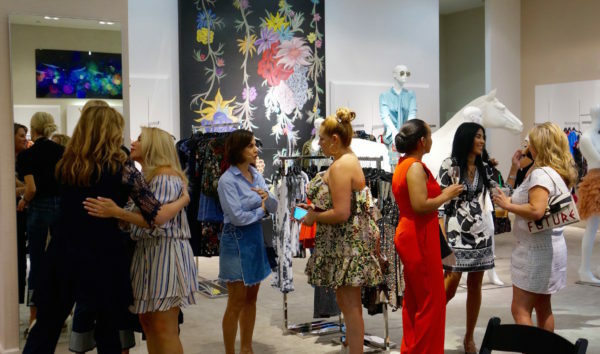 Below is a sampling of a few ensembles she styled for the presentation, worn by our lovely models, Ali Aungst and Aubrie Williams from FORD/Robert Black. 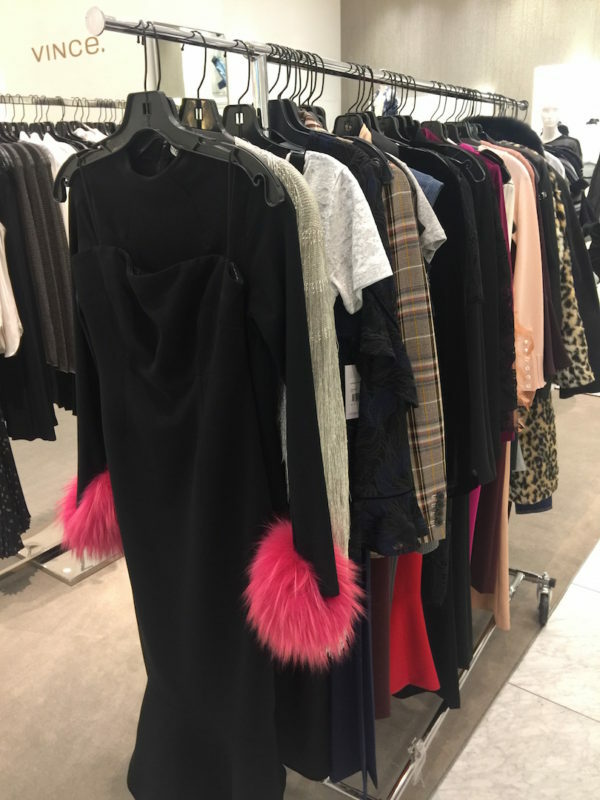 For more gorgeous Fall 2017 looks from Saks, see what Angela featured on Channel 12’s Arizona Midday earlier this month. L to R | 1. Ali is wearing a Rebecca Taylor jacket, basic tee, Paige jeans and a Stella McCartney bag. 2. Aubrie is casually chic in a Bailey 44 jacket, Rag & Bone top, Rebecca Taylor pleather track pants and a Gucci statement bag. 3. Ali is ready for power meetings in Theory (blazer, leather shell, pants) and a Valentino bag. 4. 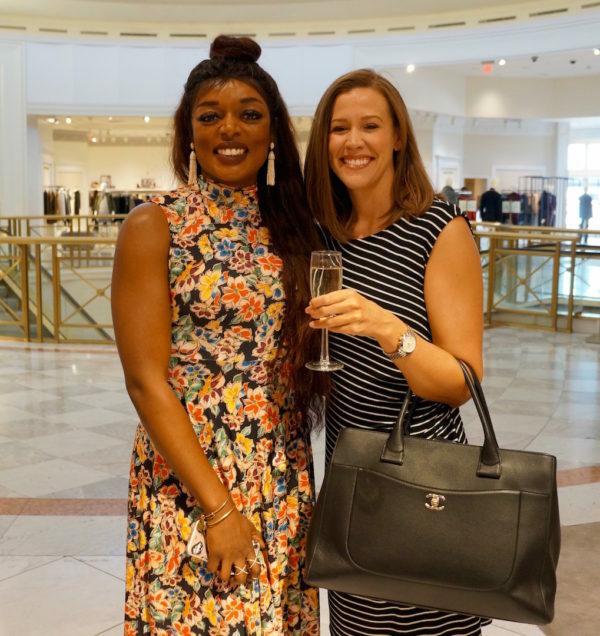 Aubrie wows in a Prose & Poetry top, Alice + Olivia pants and a Saint Laurent bag. Little Black Dresses layered with tops underneath change the look completely — we love it! 1. Aubrie wears an Alice + Olivia top (with removable fur cuffs) and a Cinq à Sept strapless dress (on sale!). 2. Ali shows us how to layer an LBD from T by Alexander Wang with a Vince velvet tee for a more casual look. The same LBDs glammed up for evening. 1. Aubrie stuns in the Cinq à Sept dress (on sale! ), plus Chanel statement hoops and crystal-embellished Chanel bag (Chanel items in stores only). 2. Ali is ready for a night out in the T by Alexander Wang dress, accessorized with a Rachel Zoe jacket and Alaïa clutch (in stores only). A glimpse at a few of fall’s haute accessories. 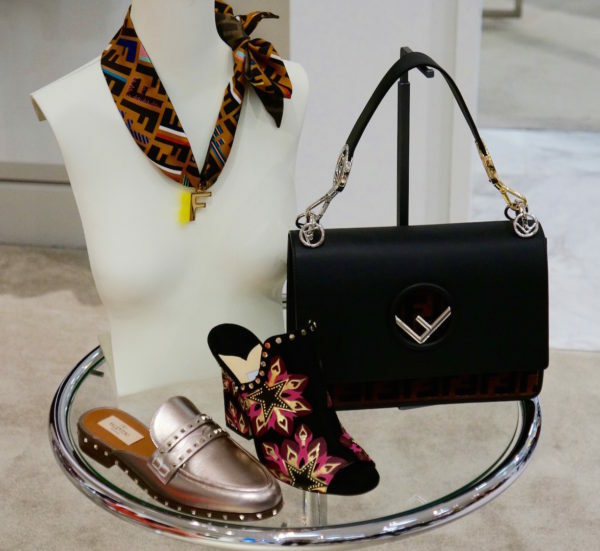 Fendi scarf (in stores only) and Fendi handbag, Jimmy Choo slide, Valentino mule. 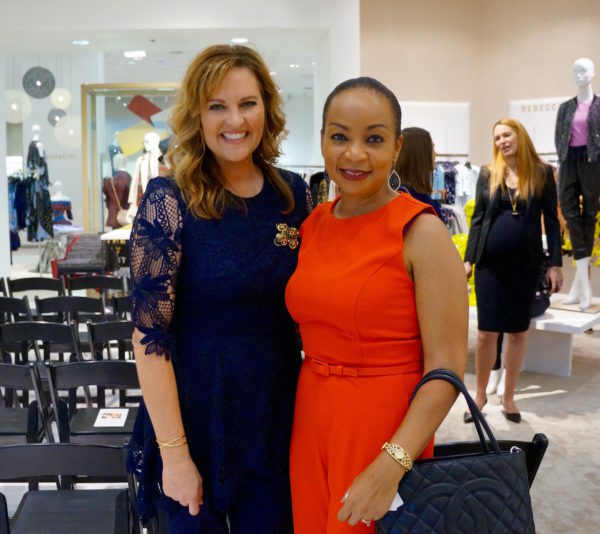 Lisa Moore, Saks Beauty Advisor & Chanel Ambassador, gave an overview of important beauty trends for Fall 2017 and demonstrated on model Aubrie Williams from FORD/Robert Black. 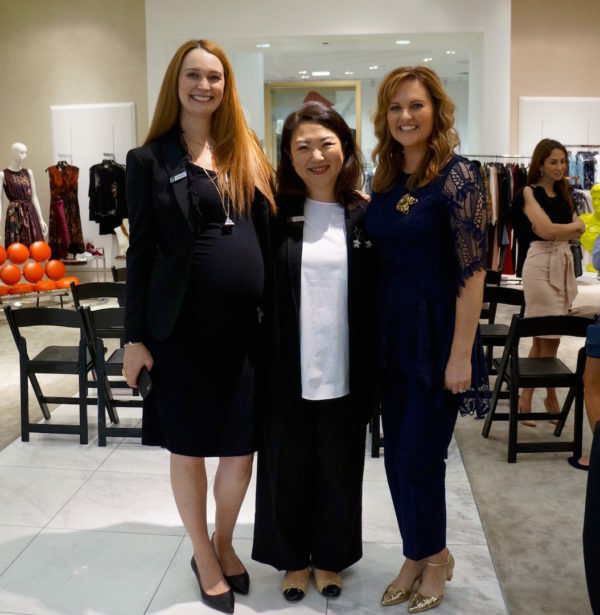 Angela Zdrale (Saks Marketing Director), Anna Chung (Saks General Manager) & Angela.